UK Stampin' Up! Demonstrator | make beautiful cards | Crafty Hippy: Video-tastic! So, I have stepped into the 21st Century (finally). 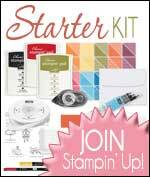 I thought that it would be rather good to start making some videos and showcase what's on offer from Stampin' Up! 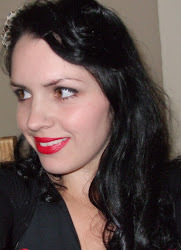 - with the intention of posting up some tutorial videos - once I finally get the hang of it!! Whatever! - it was a lot of fun!! I'm sure for some of my customers it is probably nice to put a smile and a voice to a name..... And thankfully my card-making skills are better than my video-making ones......!! hi Lauren, you did a great first video, nice to see the face behind the name. I will put an order in later this week. I cant wait for your card making video's they might give me some inspiration. Well done Lauren - so brave and a very good video, I would have been babbling like an idiot!! Need to work out how to get the picture a bit sharper and less shaky!